Colour correction takes on many forms. 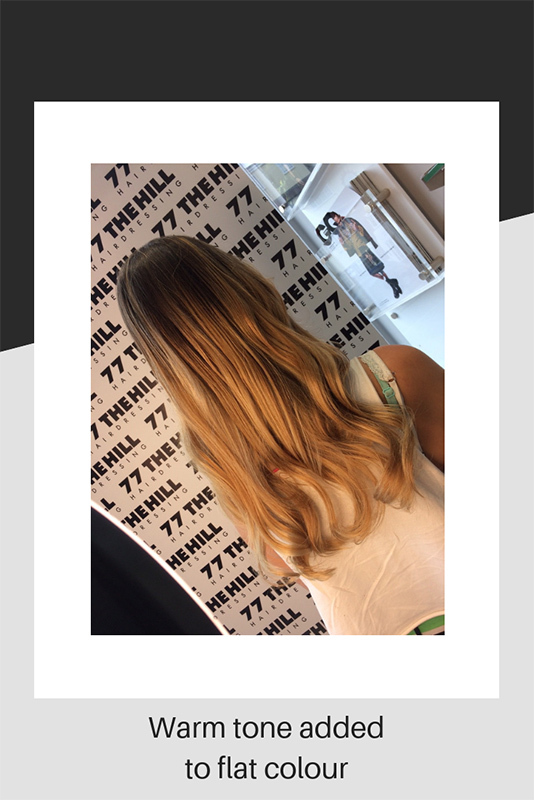 A full-colour change from dark to light, banding from overlapping root tints, toning yellows and coppers and toning flat, ash tones using semi-permanent colour. All of the above services can be difficult to get right and there are times when more than one try is needed! When lifting hair using lightener, we can never tell exactly how much copper or yellow tone there might be in someone’s hair. The amount of pigment will affect how many times we need to lift the hair and still be mindful of the condition. Our lighteners all contain unique bond connectors, which help mend broken bonds during the lifting process. When used alongside Fibreplex or Fibre force, will help prevent damage before, during and after the service. The products can be purchased to keep up the condition and home too. Our Schwarzkopf, Blondme range of products are very kind to your hair and by using the unique low volume 2% peroxide alongside the 9+ shades of lift lightener, colour can be lifted out accurately and gently. 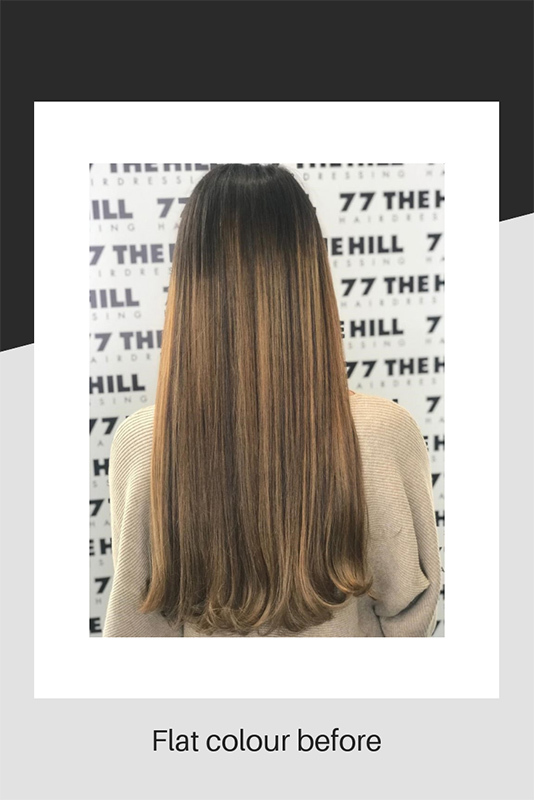 When applying colour to the roots only, it is important not to create banding, which happens if the colour is overlapped over several applications. 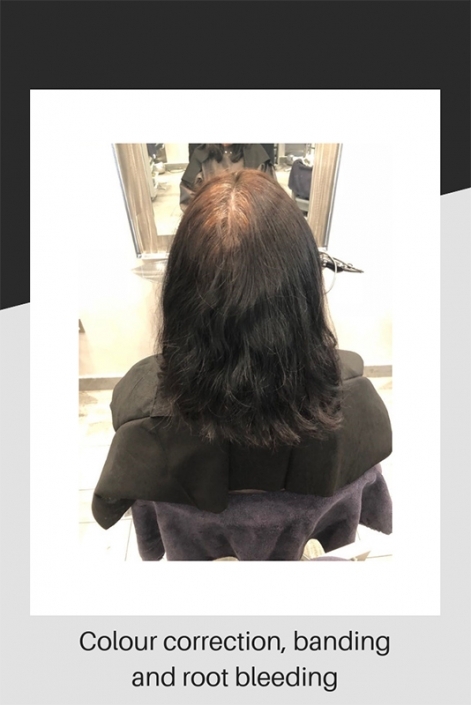 This will intensify the colour making it look darker than the rest of the hair and is difficult to correct, especially when the colour is dark to start with. We often see this type of problem when clients have been carrying out their own hair colours at home, using box dye. 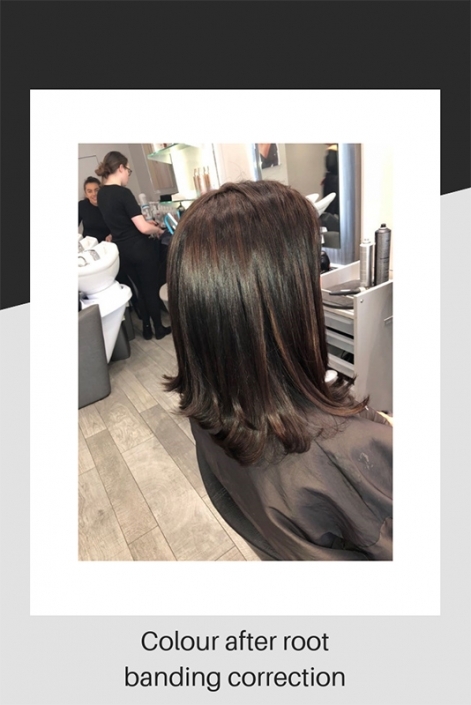 The application can be difficult when doing it yourself and we would always advise clients about the pros and cons of dying your hair at home. Mistakes can be expensive, so saving economising is one thing but it can be costly in the long run! 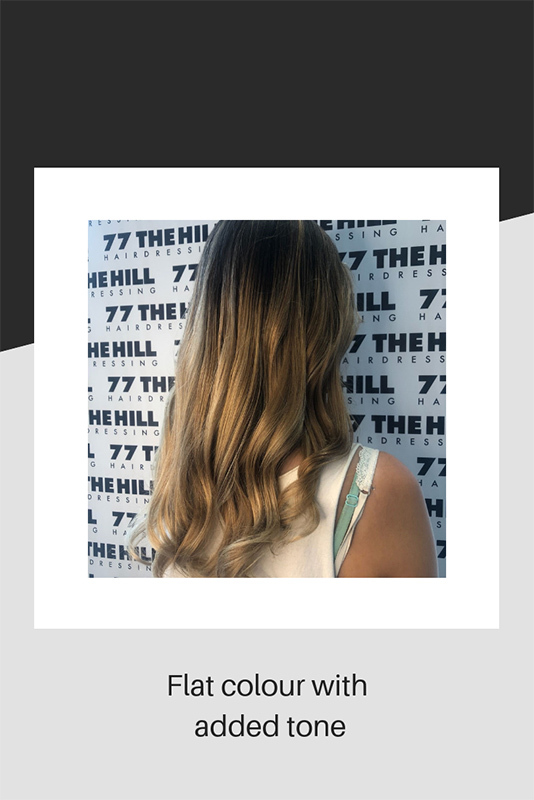 Getting rid of unwanted ash, or khaki tones would seem easier than other colour corrections, however, this can be difficult, especially if box colours have been used as some are not compatible with salon colours. A compatibility test would always need to be carried out before any colouring can take place. Sometimes, just by adding a red or copper semi-permanent colour is enough to get rid of unwanted ash, however, occasionally, a bleach bath or de-colourant will have to be used to lift out the existing colour and start again. Whatever the colour problem, a professional hairdresser can usually work out the best way forward. To avoid home colour disasters, it’s always better to book an appointment or have a consultation to avoid further damage!